Perhaps you are a runner who logs in plenty of miles every week. Or maybe you have a particular pair of feet that can be temperamental at times. From high arches to low arches, your feet can greatly impact how you run and feel afterwards. Whatever the case may be, there is a possibility that you might need orthotics. You might be thinking: just what are orthotics? That said, we are here to help you out! In this article, we will answer common questions we get about this distinctive item, as well as ways you can find the best ones that can solve all of your foot problems. With that said, let’s begin! What are the benefits to wearing them? How do I find the best orthotics? 1. Know ﻿﻿your ﻿﻿foot type. Also known as “foot orthoses,” orthotics are essentially supports for your feet, in which you can slip into your shoes as an add-on. However, compared to over-the-counter (OTC) arch supports, these are specially customized to fit your own foot’s shape. In terms of what they are made of, orthotics tend to be made out of soft, pliable material for easily breaking them in, but also from semi-rigid materials like plastic and graphite to keep the foot firm and stable as you log in long miles every day. In other words, orthotics are a balance of flexibility and rigidity, which put together produce a solid orthotic that can be used after frequent, long-distance runs. In essence, they are often used to counteract improper biomechanics of how our ﻿﻿feet move as we walk, run, and do other activities that require standing on our feet. Besides being called “orthotics,” they are also referred to as insoles or shoe inserts, so make sure to look at the labels when purchasing one! For many runners, they tend to suffer from over-pronation of the foot, also known as having “flat feet.” This is when one has a low arch, therefore striking the pavement full-on and having extra impact than if one were to have high or medium arches. For more details on wearing orthotics, you can watch this video. By wearing orthotics, they do the job of not only taking away the pain associated from over-pronation and other injuries, but also correcting how your feet move. As a result, you can counteract your natural tendency to over-pronate and have a better running form to prevent future injuries from happening. In addition, orthotics can also help with lower back pain, as this is associated with improper running form. 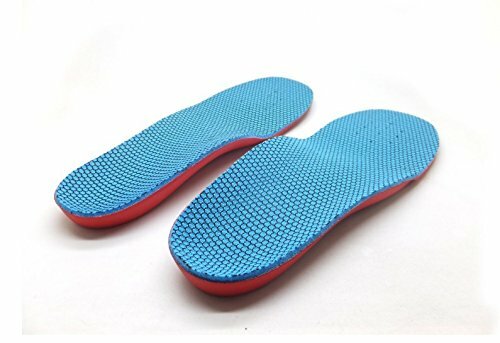 Furthermore, they are made from stronger, more flexible material than normal OTC insoles, so they help stabilize and keep your feet in place as you run. On average, shoe orthotics last from five to ten years, depending on your long-distance running sessions and day-to-day activities being up on your feet. However, if you tend to be very active, then orthotics might only last you around two to five years. Hence, by checking from time to time if your orthotics are still holding up, you can have a better idea of when you should replace them. For instance, if the bottoms seem to have thinned out or if the arches appear flattened, then you know that it is time to get a new pair. For some more ideas on how long orthotics last, you can find out more here. The first thing when it comes to finding a good pair of orthotics is by knowing your foot type. Specifically, this refers not only to the shoe size, but also the arch of your foot. From high to medium to low arches, figuring out which one you have will help you get the best orthotics out there. Now that you know which foot type you are, it is time to look at the quality of different orthotics. Different materials will benefit for different foot types, so it is important to take that into consideration when looking around. For instance, if you have high arches, you will most likely benefit from having more cushion to make up for the gap between the shoe and your foot’s arch. On the other hand, if you have low arches, then a firmer, more rigid insole might be better for you, in terms of stability and support. Perhaps you have looked all over, but cannot seem to find the best fit. At that point, you might find it beneficial to get a customized pair. While more expensive than your usual OTC inserts, these have been medically-prescribed and molded to fit your feet perfectly; in the end, it might be best in the long run. Understand the different foot types and which orthotics suit them the best. Find out your own foot type to get the best orthotics for you. ​If possible, ask for customized orthotics. That said, we wish you the best in your orthotics experience!